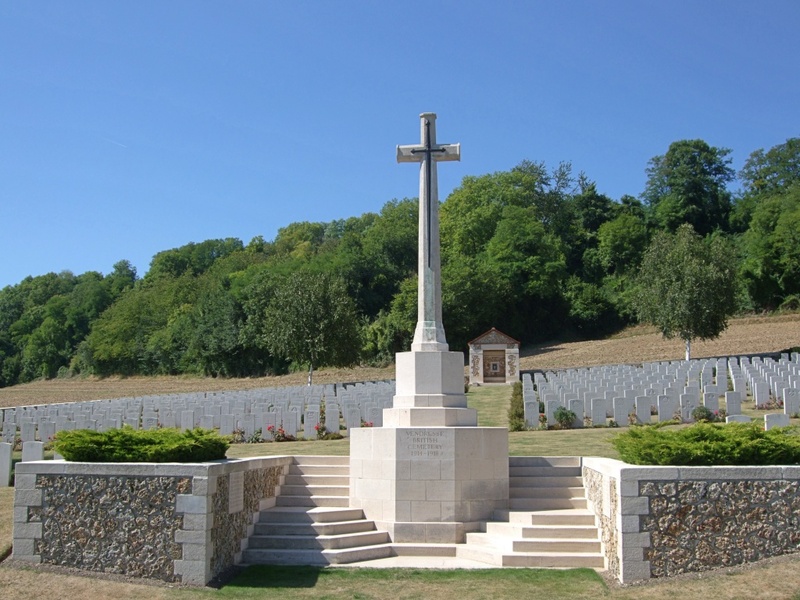 Vendresse-Beaulne is a village in the Department of the Aisne 16 kilometres south of Laon. 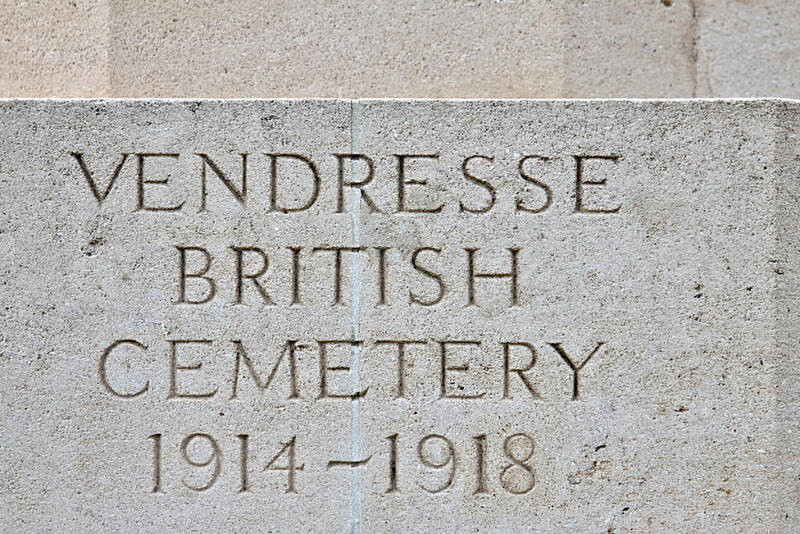 Vendresse British Cemetery is 800 metres north of the village on the west side of the road to Laon. 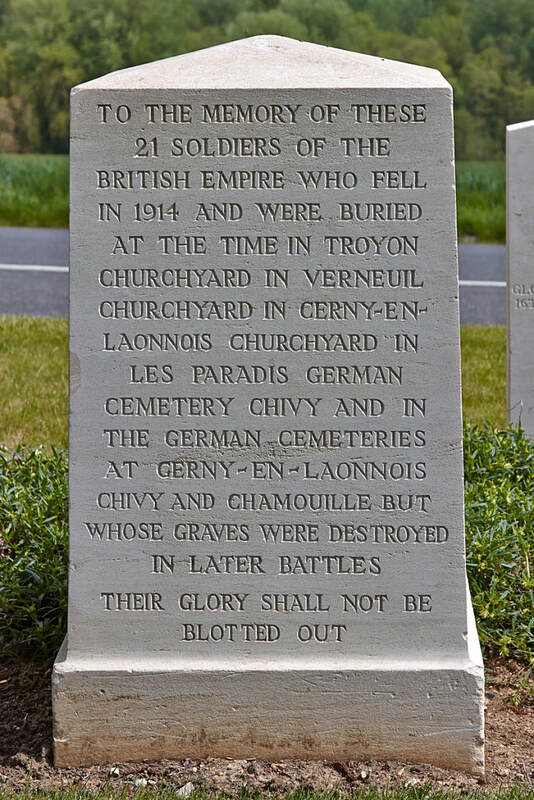 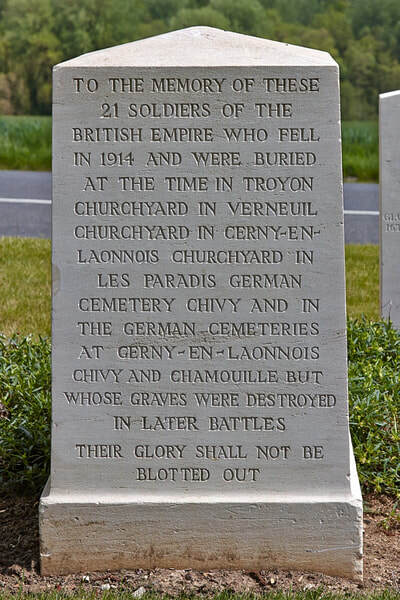 The neighbourhood of Vendresse-et-Troyon was the scene of repeated and severe fighting in which British troops took part in 1914 and 1918. 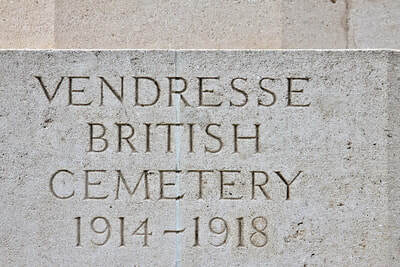 Vendresse British Cemetery was made after the Armistice by the concentration of graves from other cemeteries and from the battlefields. BOURG-ET-COMIN FRENCH MILITARY CEMETERIES "A" and "B (Madagascar)", where two British soldiers were buried, one in 1914 and one in 1918. 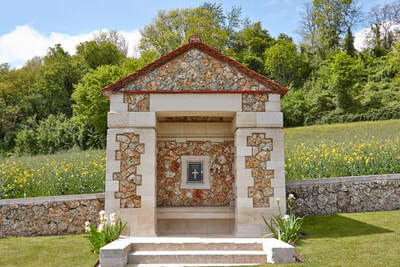 There are now over 700, 1914-18 war casualties commemorated in this site. 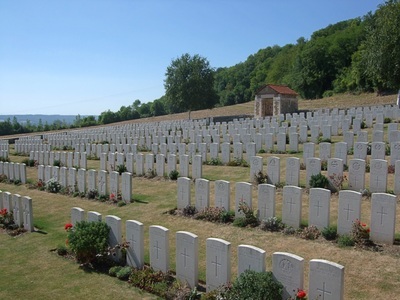 Of these, over half are unidentified and almost all of whom fell in 1914 or 1918. 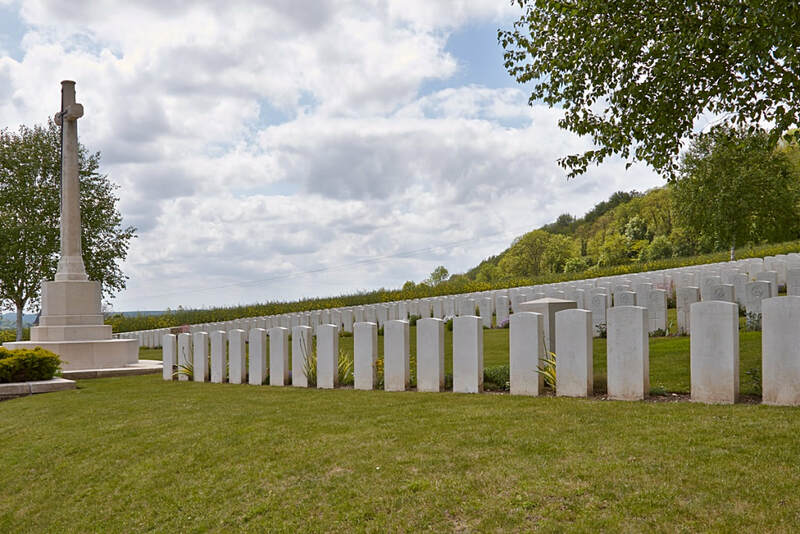 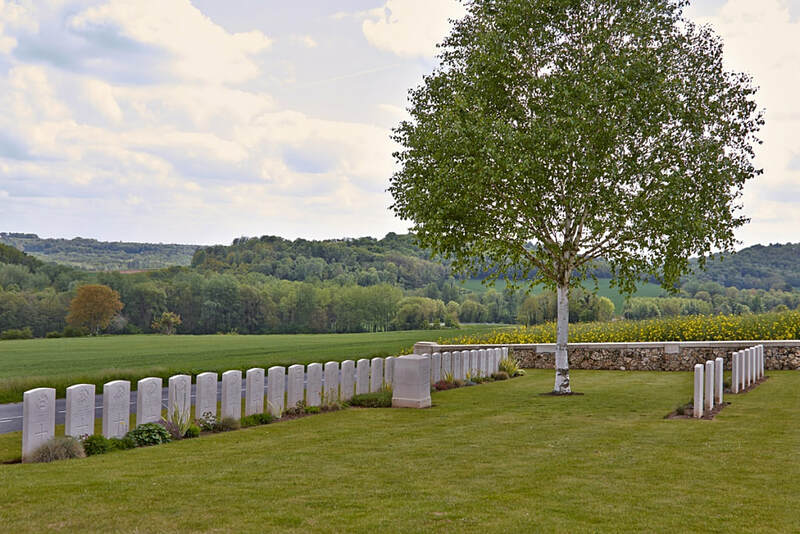 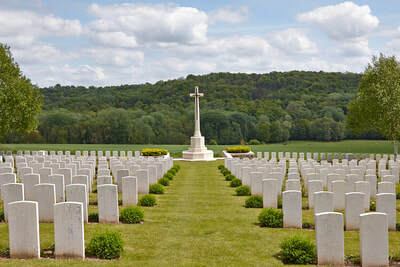 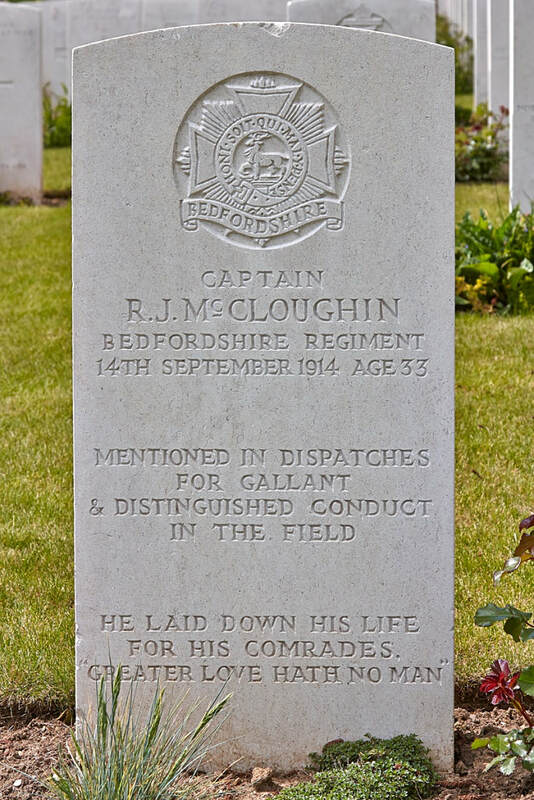 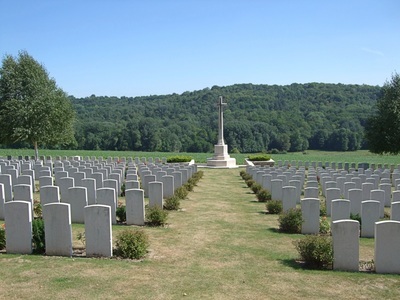 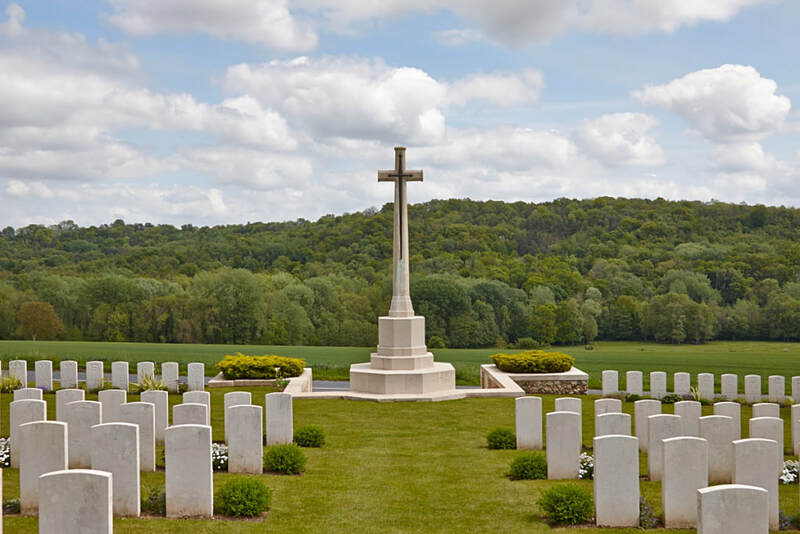 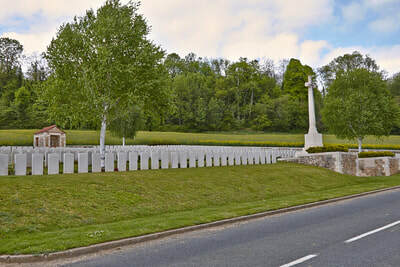 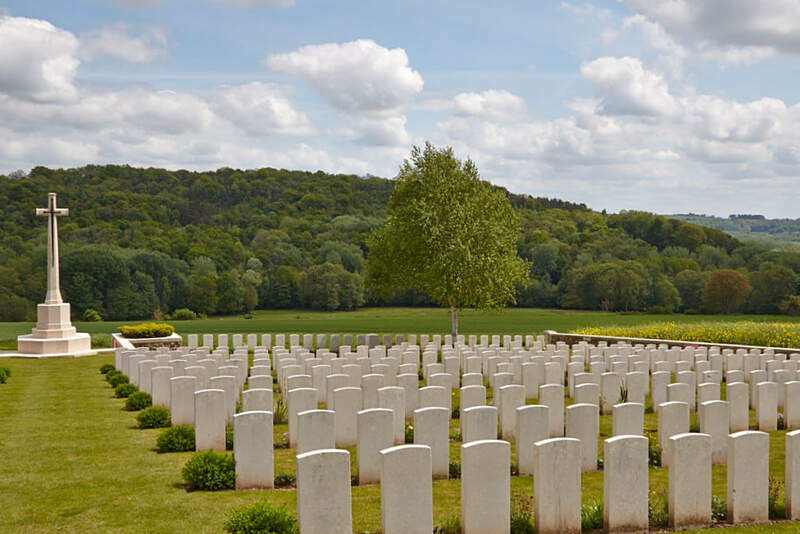 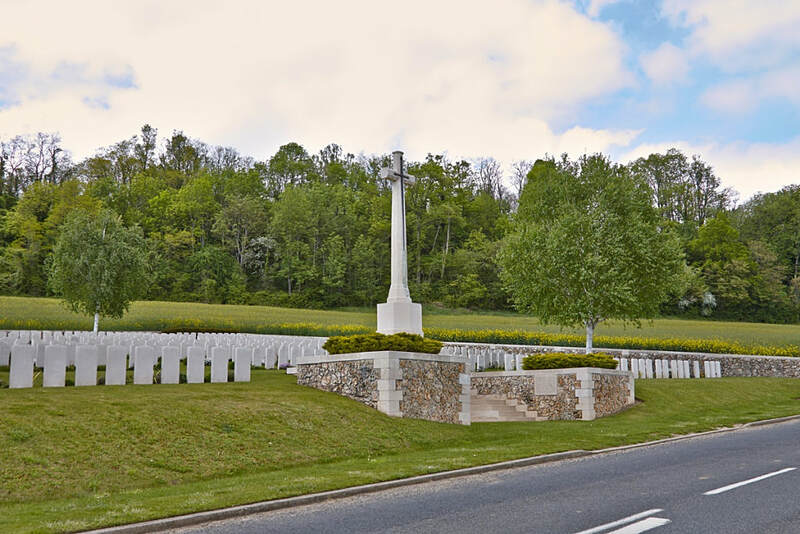 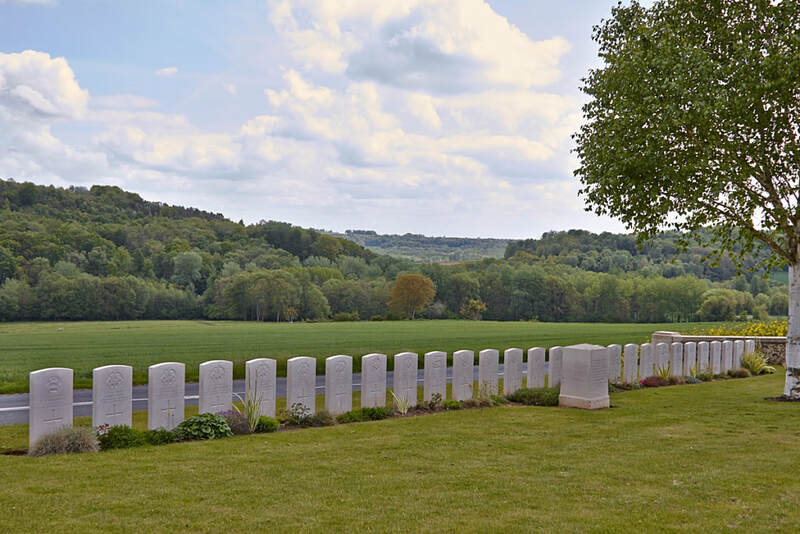 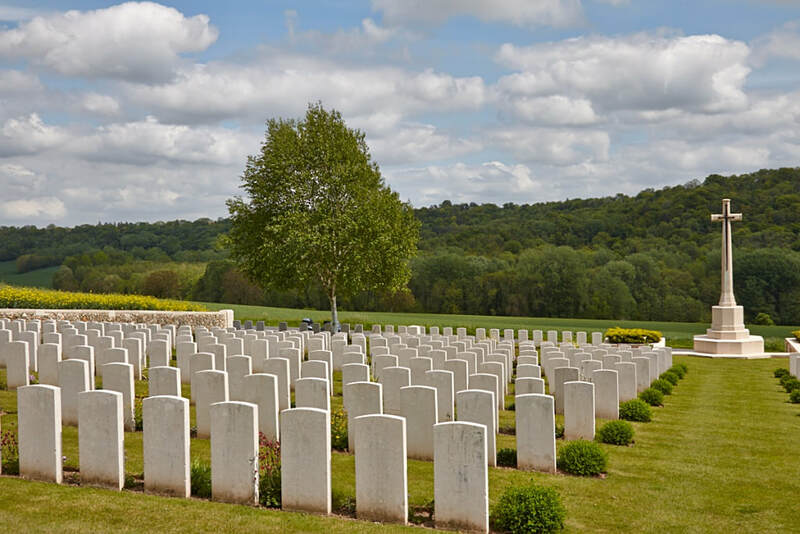 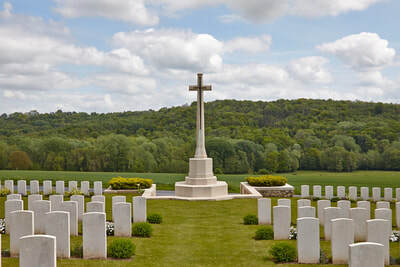 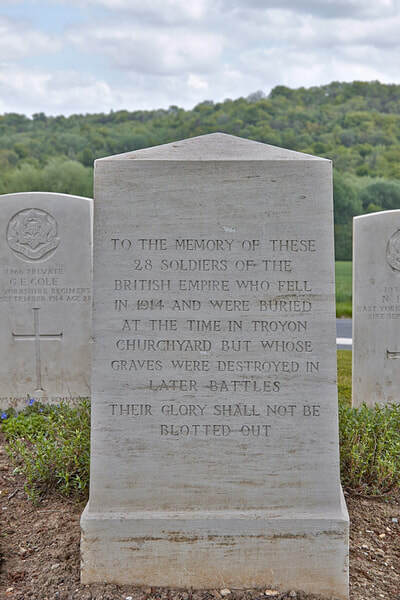 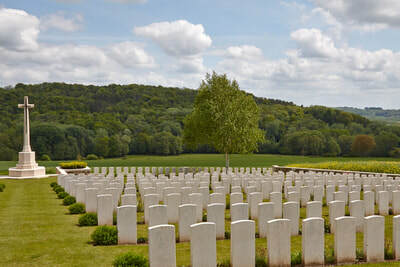 Special memorials are erected to three soldiers, known or believed to be buried here in unnamed graves; and other special memorials record the names of 50 United Kingdom soldiers buried in other cemeteries whose graves were destroyed by shell fire. 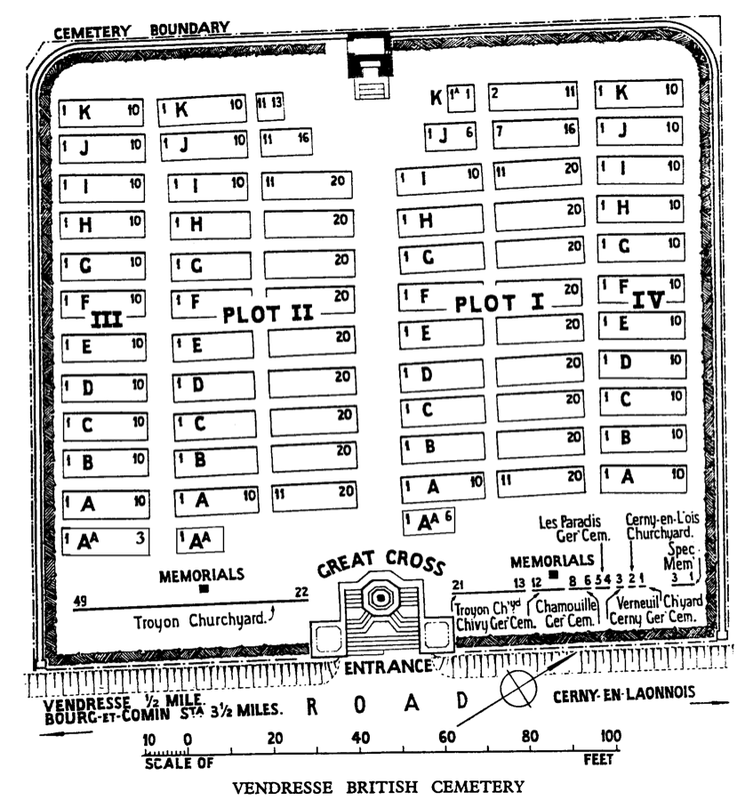 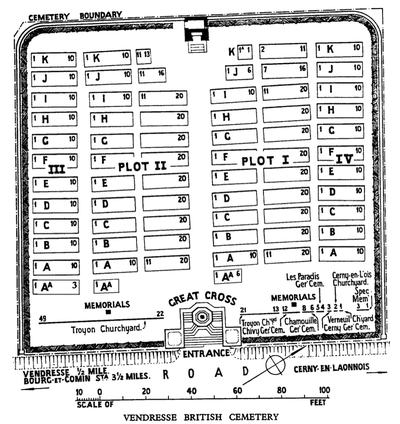 In 37 instances, graves identified collectively but not individually are marked by headstones superscribed: "Buried near this spot". 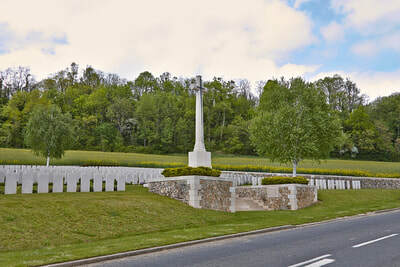 The British Cemetery covers an area of 2,188 square metres and is enclosed (except on the roadside) by a low stone rubble wall.